I've been asked several times about fueling for running, but it's not a topic that I'm super interested in, so I've never written much about it. You would think that considering fuel = food, I would LOVE this topic ;) But unfortunately, I've always had a bit of a negative viewpoint on "fuel" during runs, because I like to save my calories for post-run food! Yes, that's a cop-out answer, so I'll write some of the common fuel types and methods here, just in case you really have no idea where to start. 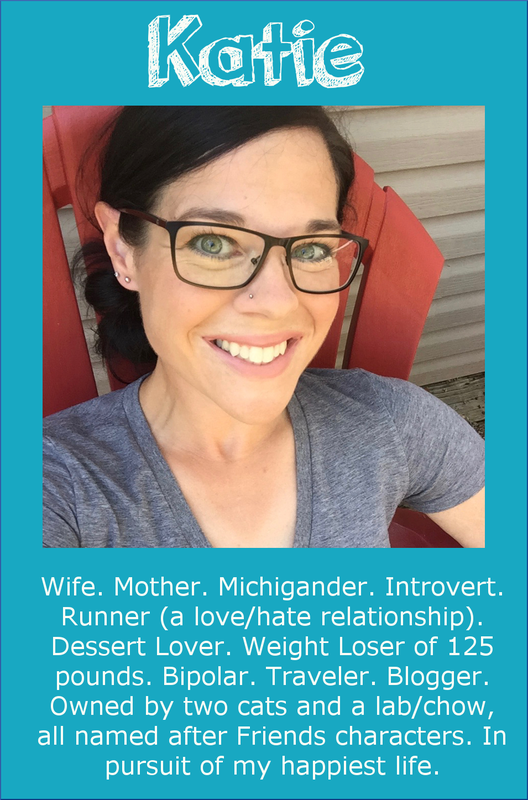 When I first started running, I always liked to run first thing in the morning, and I would sit down to enjoy breakfast later--so I was running in a fasted state. I did this simply because it was comfortable for me. When I started getting into longer distances, during marathon training, I started to eat breakfast before my runs. My body got very used to that, and now I almost always eat first and run later. I will say that eating a large or heavy meal almost always feels terrible during a run. If you're going to be eating something heavy, I would wait until after the run; otherwise, you may get some serious tummy issues. As far as what to eat before a run: Again, experiment with your favorite foods and see what makes you feel good. In general, lighter meals are best. Nothing with too much fiber--the fiber can give you stomach problems. Some runner favorites: oatmeal, bananas, toast with peanut butter, hot or cold cereal, etc. Basically, easy-to-digest carbs are great for fueling. 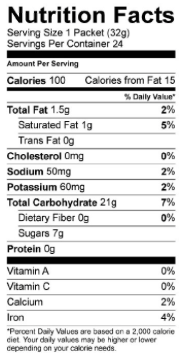 I love Larabars with peanut butter, because they are very small (I don't like feeling full during a run) but they have a considerable amount of calories for their size (about 200-230 per bar, not including the peanut butter I spread on them). Once your mileage starts getting up there, where you're running for an hour or more, you may want to consider carrying fuel with you during your runs. There are a ton of products out there that are marketed for runners, but you don't have to use them--you can use whatever floats your boat! Again, easy-to-digest carbs are great--especially when you're running. It's hard to digest protein and fat when you're running, and it takes a longer amount of time to get the energy from those nutrients. 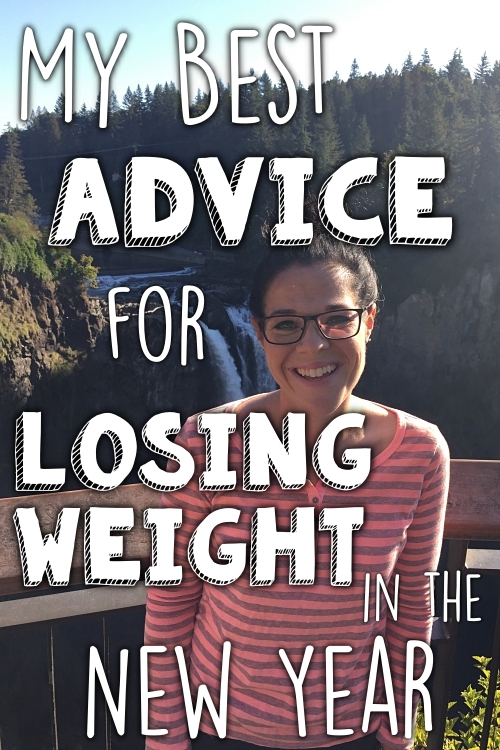 The carbs are used pretty quickly, which is why they are preferable. Shot Bloks (or electrolyte chews): These are my personal favorite fuel of choice. These are like large square gummy bears. I LOVE the margarita flavored ones, Shot Bloks which have extra sodium, too. 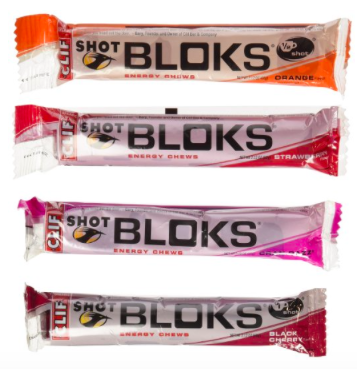 Shot Bloks essentially do the same thing as the Gu (simple carbs with electrolytes); they are just in a different form. My stomach tolerates these very well! Three Bloks are the equivalent of one Gu packet, and the Bloks come packaged in groups of six. 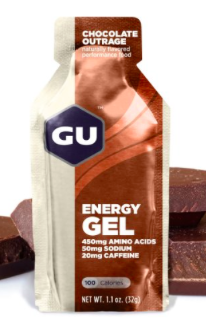 One of the benefits to these over a gel is that you don't have to have the whole serving at one time (I suppose you could only eat half of a gel, but the leftovers would be sticky and gross to carry around). I like to eat one Shot Blok every mile or two rather than eating three of them at once. 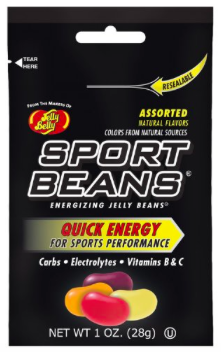 Sport Beans: These are made by Jelly Belly, and are literally little jelly beans (that apparently taste a little saltier, because of the added electrolytes). I've never actually tried these, because they seem rather inconvenient to me (it's hard enough to pop ONE chew in my mouth while running, so I can't imagine a handful of jelly beans). But they are another popular option to try. 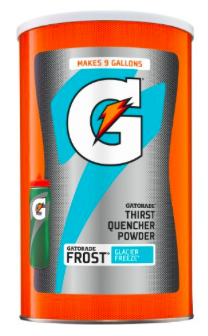 Gatorade (or other electrolyte drinks): Again, these are essentially the same as the above products, just in liquid form. The electrolyte drinks have sugar for energy and added electrolytes. As a bonus, they also include water (when taking the above products, you have to drink water with them). If it was more convenient to carry, I would probably use Gatorade exclusively for long runs--but I don't like to put it in my Camelbak. However, during races that offer it, I typically will drink Gatorade throughout the entire race, and carry no fuel. Important: You don't want to chase your solid fuel with an electrolyte drink--having BOTH at the same time will probably upset your stomach! You can alternate every 30 minutes or so (have a gel, then Gatorade 30 minutes after that, then gel again, etc.) if you'd like. It's also important to time your solid fuel for when you'll have water available to chase it. If I'm using Gu, for example, during a race, I will look up where the water stations are on the race map beforehand. Then, when I know a water station is getting close, I'll go ahead and eat my Gu so that I can chase it with some water from the water station. Some natural fuel options: Some people like to make their own gels, drinks, or bars to make them more natural than the products above. I've carried dates before, which worked out well, but I've never tried making the recipes for other options. You can Google recipes--there are a ton out there! You also don't have to limit yourself to these forms of fuel--you could carry candy, fruit, cookies, dry cereal, homemade energy bites, or anything else that gives you the energy you need. When running for a long time, though, you just want to make sure that you're getting enough electrolytes. To put it all in a nutshell: If you're going to be running for a while (an hour or more, generally), then you need to ingest something with calories to give you energy--it can be whatever form you'd like that works for you. A general rule of thumb is to have 30-60 grams of carbohydrates for every hour of exercise. This varies by person, so like I always say, it's best to experiment to find what works best for you. This is something I've read very little about, so I won't get into much detail. I just listen to my body--a lot of times, my stomach is upset after a very long or difficult run, so I really don't want to eat afterward. 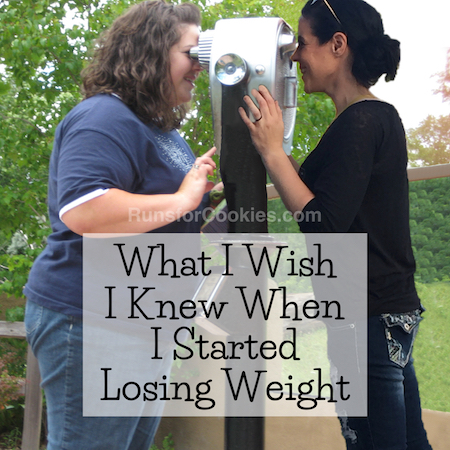 If I'm hungry, I eat what I'm craving, because I believe my body knows what it needs. 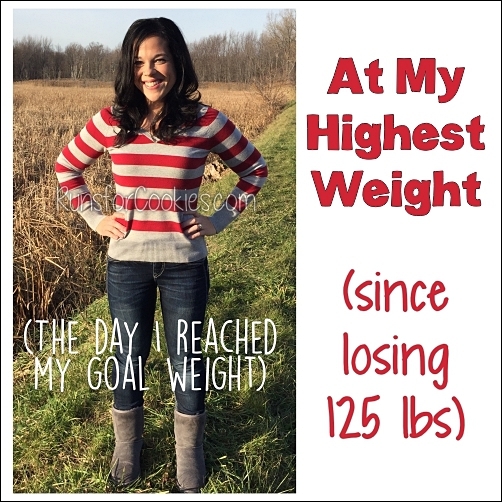 If you're concerned about weight, then it's important not to overestimate how many calories you burned during your run. It's easy to justify pigging out after you've run 20 miles, but the truth is, you probably only burned around 2,000 calories on that run. ... and that's all I've got! 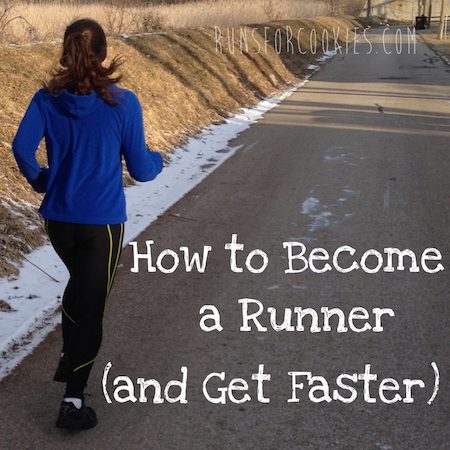 :) Hopefully this will be helpful if you're new to fueling during your runs. When it comes to fueling, there really aren't any set "rules" that apply to all of us--we just need to experiment and listen to our bodies, and do what works best for us as individuals. Good luck! I save my shotblocks for long rides. When I've already done 40 miles and I have 10 more to go, that candy is sometimes the only thing that gets me through. 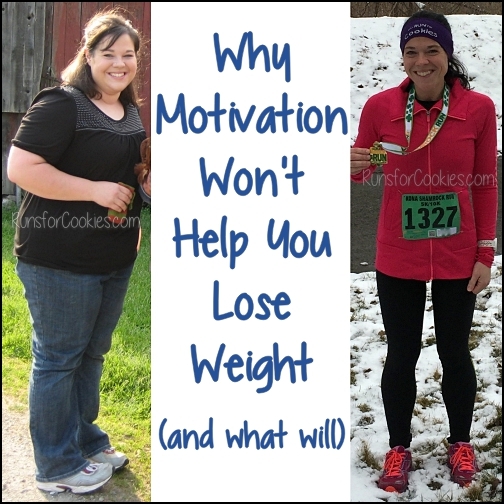 It's surprisingly motivating. I tend to use clifbars on shorter rides (up to 2 hours) cause I can eat those on the bike, or sometimes I just bring a PB&J sandwich if I know I'm going to stop halfway and can take a couple minutes to eat it. I absolutely love reading your blog and truly value your opinions! Coming from someone who has never run more than 6.2 miles, this information is gold. Although I know experimenting is key, this gives a starting point for knowing when to fuel while running. Thank you so much for writing this! The Gu's come in "salted" flavors too like the ShotBlocks- I love the salted caramel and salted watermelon!! They had the watermelon variety in a RnR half I did - and I stuffed a bunch in my running gear for later after mile 8! I use Swedish fish. Cheaper alternative, and still gives me the energy and nutrition I need. I just have to watch that I don't gorge on them during the week because they're so delicious!!! I can't chew when I run so generally use Gu or something like it. Recently I have taken to just drinking Gatorade instead.